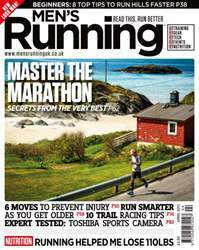 The April issue of Men’s Running looks at what you can do to run your best 26.2 miles. To this end, we speak with endurance legend Dean Karnazes, a man who declares that “on a good morning, I knock out a marathon before breakfast”. Speaking of breakfast, we also look at some of the best food to power your running and ask whether energy gels are really the best option for fuelling your marathon. 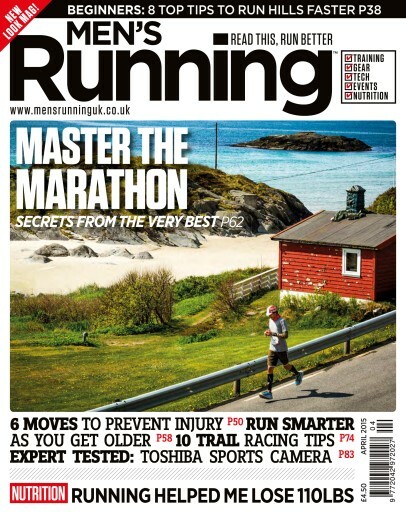 Elsewhere, regular columnist Steve Way – holder of the UK over-40s marathon record – looks at how to get the most from your training while up-and-coming ultra-runner Robbie Britton explains the importance of taking a rest day. As you get older, should you race and train differently? That’s the question Michael Donlevy answers in his illuminating piece on age-based training. There's also the chance to take a sneak peak at the latest shoes, gadgets and clobber that no runners should be without. Packed full of thought-provoking features and practical advice, the April issue is a must for all men on the move.